Behind every great day is a great night at the Comfort Inn And Suites in Lexington, KY. Located on I-75, just minutes from the University of Kentucky, our hotel also is surrounded by the top horse farms in the region. Here, you can get work done in our business center or reserve meeting space that can accommodate up to 60 colleagues. Additional amenities include free WiFi, free hot breakfast, an exercise room, indoor heated pool and laundry facilities. 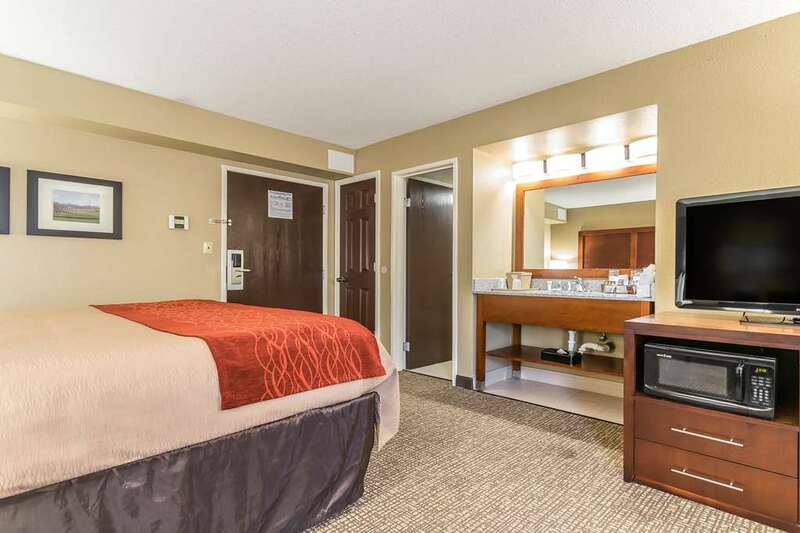 Your relaxing guestroom features a coffee maker, desk, microwave, refrigerator and TV. Some rooms include a flat-screen TV, living room, iron and ironing board. Also, earn rewards including free nights and gift cards with our Choice Privileges Rewards program. No pets allowed.